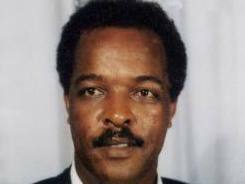 Campaigners have issued a fresh plea to release the Swedish-Eritrean journalist Dawit Isaak who has been imprisoned in Eritrea since September 2001. Isaak has been locked up in an Eritrean jail without trial for exactly 4,500 days on Sunday. To coincide with the latest anniversary of his imprisonment campaigners staged a manifestation in the capital in an attempt to bring his detainment back into the public eye. “Nelson Mandela was held for 27-years but we hope that you can come out much earlier,” said journalist Stina Lundberg Dabrowski who chairs the Swedish Publicists’ Association. Isaak had fled to Sweden in 1987 during Eritrea’s war of succession from Ethiopia but returned in 2001 to help shape the media landscape in his recently independent homeland. The father of three worked as a cleaner in order to support himself and was granted Swedish citizenship in 1992.